This special feature is from a series of technology-centric articles from SAGE CEO Eric Natinsky. “Alexa, tell me the weather.” It’s a phrase uttered by hundreds of thousands of people every morning as they decide what to wear for the day. It’s a simple question with a seemingly simple answer. But Amazon’s system that powers its Echo devices is far from simple. It, along with Google Home, Siri, Cortana, and all of the other “digital assistants” that are now lurking around all of our houses and living in our devices represent the latest phase of consumer-packaged artificial intelligence, otherwise known as “AI” for short. What started as a very creepy, end of the world, type of scenario with robots taking over the world in TV and film from the last millennium has now found its way not just in our homes, but throughout our lives. Our cars now have all sorts of crash avoidance systems as standard features thanks to AI, our phones use AI to try to figure out what we are saying when dictating a text message (and sometimes they even get it right! ), many of us have smart thermostats in our houses that use AI to try to minimize energy use and keep us comfortable, and when we make an online purchase AI at the credit card company is doing a real-time analysis to make an educated guess whether or not it’s really the cardholder or an imposter using the card. And the list goes on and on. While you may not realize all the ways that AI is being used throughout your day, I can assure you it is. In fact, that’s the beauty of good AI – we don’t even realize it’s there. What is currently known as the “AI Revolution” started in earnest in 2016. That was the year that a supercomputer named AlphaGo, built by Google division Deep Blue, beat the world champion Go player, Lee Sedol. This was big news at the time – at least to those in the AI world – because it marked a new era for artificial intelligence. Prior to this time, AI was driven by programs. You could create a set of strategies and rules to play chess for example, and then tell the computer to go play and it would do it quite well. Or, give it access to the Internet and a basic understanding of language processing and it could play a mean game of Jeopardy. But in this case, none of that was done. The Deep Blue team told the computer the rules of the game, and then just let it start playing. 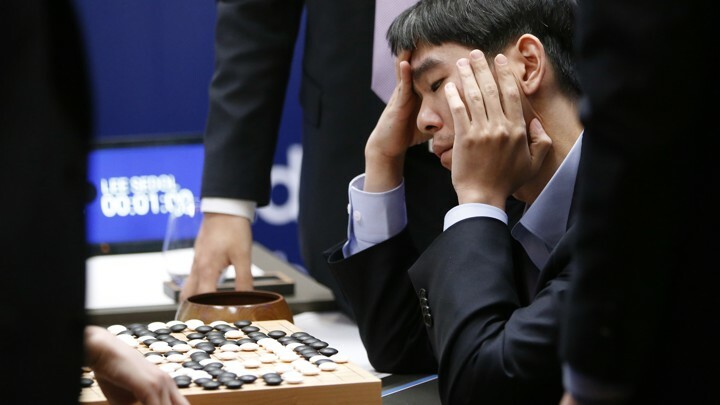 By the time it played (and beat) Lee Sedol, it had practiced playing the game millions of times all by itself, each time learning strategy along the way. And for those of you not familiar with the ancient game of Go, this is not a simple game like chess. The story of how the five-game match unfolded is quite interesting in its own right. So interesting in fact that there is a documentary on Netflix that chronicles the event. Search for AlphaGo and you’ll easily find it, along with related shows brought to you by Netflix’s own AI engine. The AI revolution that began with AlphaGo was a transition point to what is now called deep learning. Deep learning mimics the web of neurons in our brains. With these neural nets, AI machines like AlphaGo can learn tasks by analyzing massive amounts of data, exactly like humans learn as they are exposed to the data around them. A lot of this deep learning innovation in AI is happening in Silicon Valley, as might be expected. But it is also happening in a less obvious place – China. In a country with over 1.3 billion people, all of whom have essentially no privacy rights, both state-funded and private companies in China are pouring billions of dollars into using artificial intelligence to process the mountains of data available within the country. One such company has developed a system that will instantly profile people as they are walking down the street. The system identifies the various characteristics of the individual – clothing, skin color, hygiene, etc. – and then compares it in real-time with what it has learned about other people with similar characteristics. The concept is that the system could be used to do everything from identifying potential criminals to determining who might be a good prospect to stop on the street and offer to come into your nearby store. While some of this may seem cool and perhaps a bit scary, you might be wondering what the true impact of this Fourth Industrial revolution will be. Undoubtedly, one of the biggest impacts of AI on our society over the next decade will be its effect on jobs. Many experts believe that up to 40% of our current jobs be “lost” due to AI. Humans will be forced to adapt, just as they have in technological revolutions of the past. Coachmen, bowling pin setters, switchboard operators, ice cutters, human alarm clocks (aka “a knocker-up”, and yes, they really existed), and scores of other jobs have all been replaced by technology. But what about promotional products? The jobs that AI will be replacing first are the ones that are routine and rule-based. Think about tax preparers, taxi and ride-sharing drivers, farmers, construction workers, etc. The ones that will be harder to replace are those that require creativity and human emotion, such as photographers, artists, psychologists, and social workers, just to name a few. And yes, promotional products professionals fit squarely in this category. So, the good news is there is no need to post your resume on your favorite job site quite yet (but note that they too use AI to match prospects to jobs!). The best advice for now is to sit back, relax, and embrace the AI revolution happening around you. Like it or not, it’s here to stay.